The forecast I saw for today suggested that the weather was going to improve with occasional showers and the cloud lifting during the afternoon. 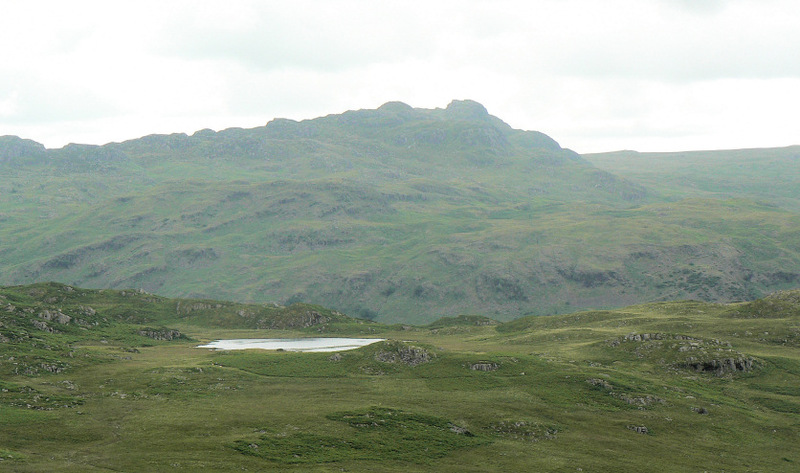 With the forecast in mind we decided to head out along Eskdale Moor and return via the Screes to take advantage of the afternoon's improving fell top conditions and to enable John to bag four tops that I had done when I was single. The forecast was to prove to be highly inaccurate, although the cloud did lift very briefly as we headed towards Illgill Head's summit. The rain started as we arrived at the summit shelter and as we made our way along the top towards Whin Rigg with the rain blowing hard into our faces and visibility down to barely 100 metres it was becoming clear that this wasn't a shower. When we left Whin Rigg's summit we couldn't find the path and then had to navigate our way down to Irton Fell and out of the cloud using a good old compass bearing. Whilst it's comforting to know we can do this it isn't an experience we really wish to repeat especially as the much anticipated views of Wast Water never appeared and John only got to bag two of the intended tops. One of those days when you wonder if you are mad to do this for fun. To make matters worse the next day was warm with blue skies but all our stuff was drying out so we couldn't do any walking!!! 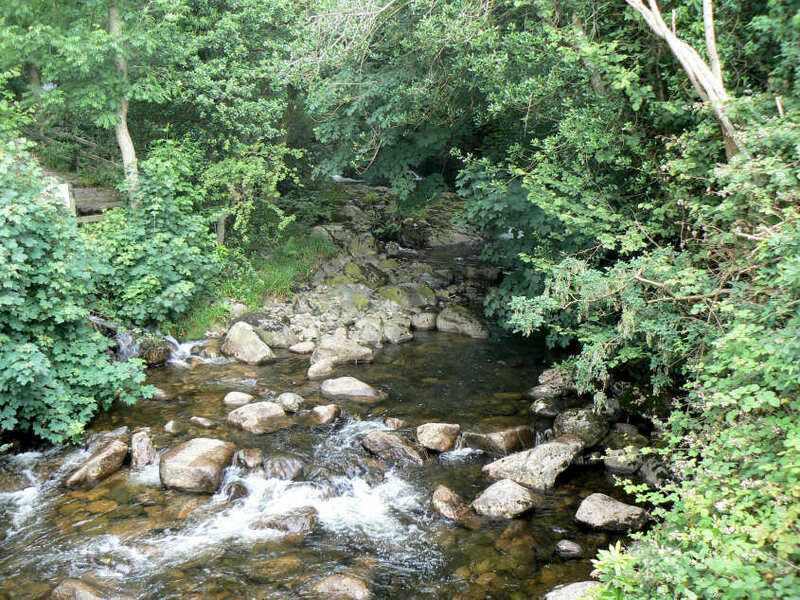 The calm and very tranquil Whillan Beck by Eskdale Mill. 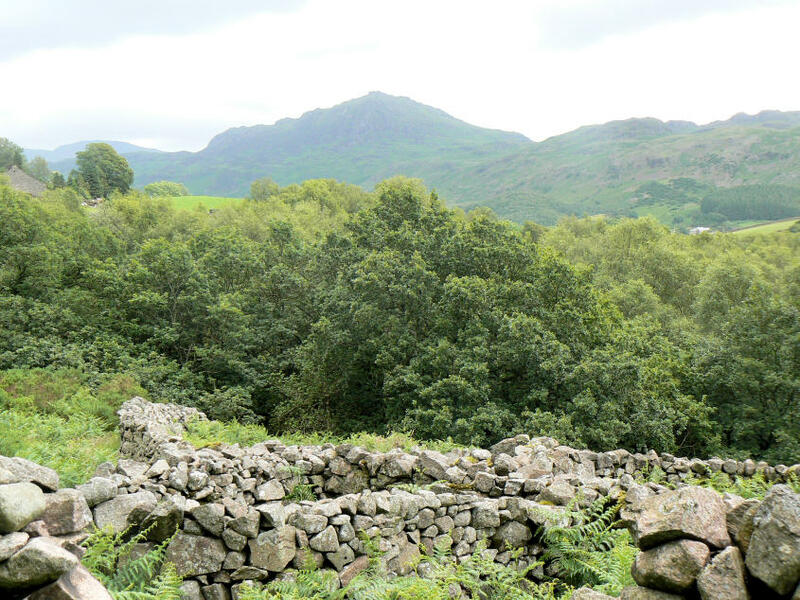 Harter Fell as we head towards Eskdale Moor. 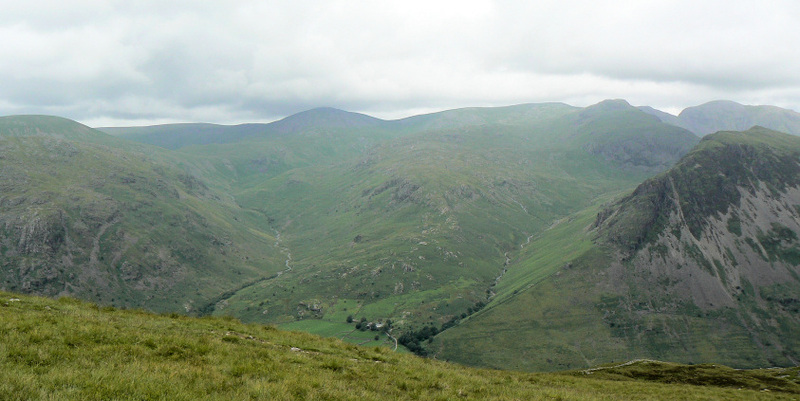 Eskdale Fell is clear of cloud, although Scafell's summit is lost in it. Boat How across Burnmoor Tarn. 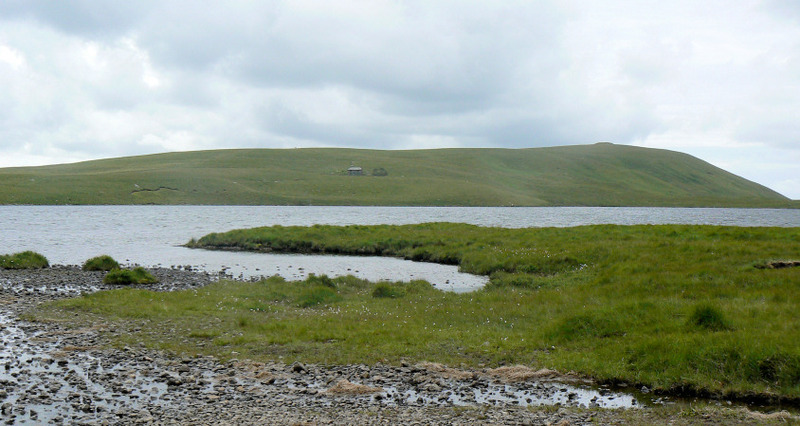 Burnmoor Tarn as we start up the slopes of Illgill Head. Wasdale Head comes into view as we continue to climb. As we climb the weather continues to improve and even the Scafells are clear of cloud. 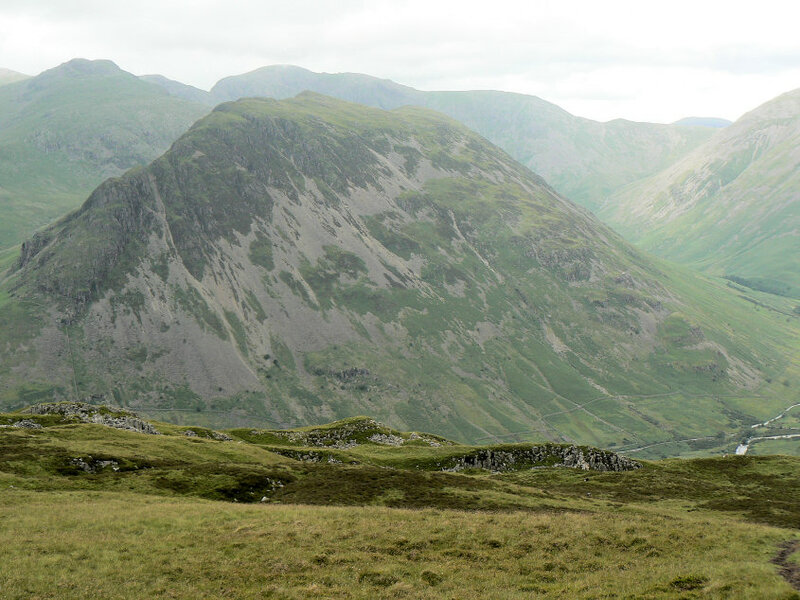 Yewbarrow. I had planned on climbing it this week but the road-works in Wasdale that week meant a change of plan was called for. 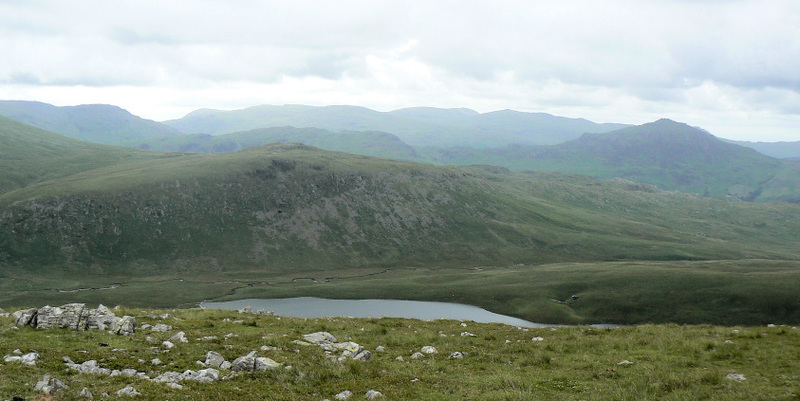 Looking across Burnmoor Tarn to Eskdale Fell as we approach Illgill Head's summit. 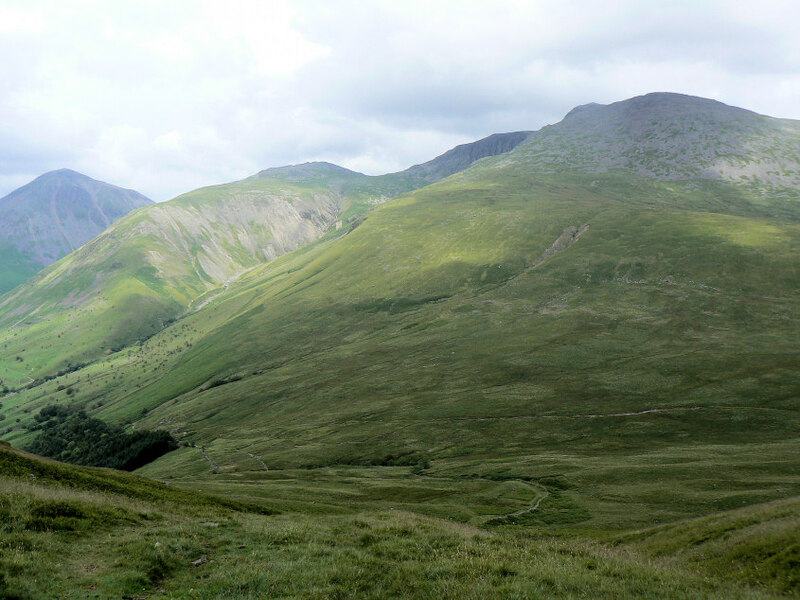 Looking up to Illgill Head's summit and looking forward to views of Wast Water. No sign in the last two pictures of the rain and cloud that would arrive 10 minutes later and obscure all views for the next couple of hours! !